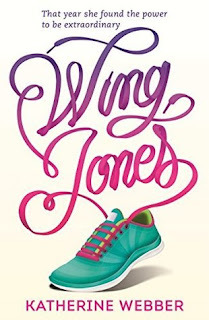 With a grandmother from China and another from Ghana, fifteen-year-old Wing Jones is often caught between worlds. But when tragedy strikes, Wing discovers a talent for running she never knew she had. Wing's speed could bring her family everything it needs. It could also stop Wing getting the one thing she wants. 5 Words: Family, friendship, running, love, consequences. I saw the cover of this book revealed last year at YALC and I was like "oh, ok. It's about sport" and I didn't think much more about it. Because I am the least sporty person EVER. But then in release week it seemed like everyone I followed was reading it and loving it. And usually when there is a lot of hype around a book I'm a bit wary. But the SundayYA crowd are just the best people and I totally trust their judgement. And so I couldn't resist. I pre-ordered it on my kindle and waited for it to arrive. And once it did? Well, I was blown away. I have to admit that the first five-ish chapters made me ANGRY. Ragingly angry. I was scowling down at my Paperwhite, angrily tapping for the next page. The one thing that is a sure-fire way to get me wound up is bullying and those first five chapters had me fuming. Then I started the next chapter and my heart was broken. This book is an emotional roller-coaster. So you will definitely need your tissues. I didn't "get" the lion and the dragon, but I did like the magical realism aspect they lent to the story, that are they there? lingering in my mind as I read. As filled with heartbreak as this book is, there is also a huge dose of inspiration. I am not sporty, I don't like sport, but I've started running. Me. The girl who doesn't run. Wing just inspired me so much that I put on my trainers and ran for the first time since I was forced to in PE at school. And it was bloody hard, but actually? I loved it.